Following Sunday's second presidential debate, the focus quickly turned to Republican vice presidential candidate Mike Pence. After Donald Trump's campaign was again dragged into controversy this week, all eyes have been on the vice presidential candidate, waiting to see if Pence drops off the GOP ticket. And while the rumors have been flying, Pence posted a tweet that seems to assure the public that he will remain Trump's running mate. Pence and Trump's values came to a head this week, after tapes from 2005 surfaced of Trump speaking about forcing himself on women, saying "when you’re a star, they let you do it. You can do anything.” Pence didn't mince words when he condemned Trump's actions, saying "I do not condone his remarks and I cannot defend them." 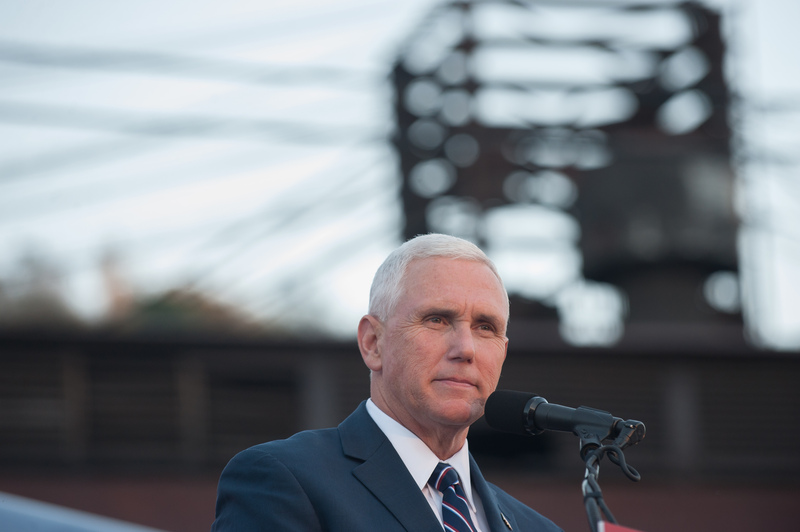 With the swift and widespread fallout of GOP support, many speculated that Trump would be forced to drop out of the race, and Pence would rise to the top of the ticket. Or that Pence would leave after his candid condemnation of his running mate. However, he tweeted on Sunday night, "Congrats to my running mate @realDonaldTrump on a big debate win! Proud to stand with you as we #MAGA." This debate was set as the bar for determining whether Pence was in or out. After remaining silent on Twitter throughout the entire 90 minute debate, he tweeted his congratulations to Trump, presumably announcing to the world that he will remain in the race. But not everyone is convinced. It was reported late Sunday that Pence cancelled a fundraiser appearance in New Jersey scheduled for Monday. Canceling campaign events with no explanation does little to calm the rumor mill. Pence is standing by Trump ... for now. Pence and Trump, the Ross and Rachel of politics. Will they or won't they? Not even Olivia Pope could handle this.